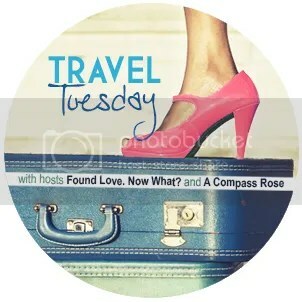 It’s Travel Tuesday! What better pick-me-up on “second Monday” than a trip around the world? Today I’m also combining this post with the Blogtember subject de jour – Review a book, place, or product. 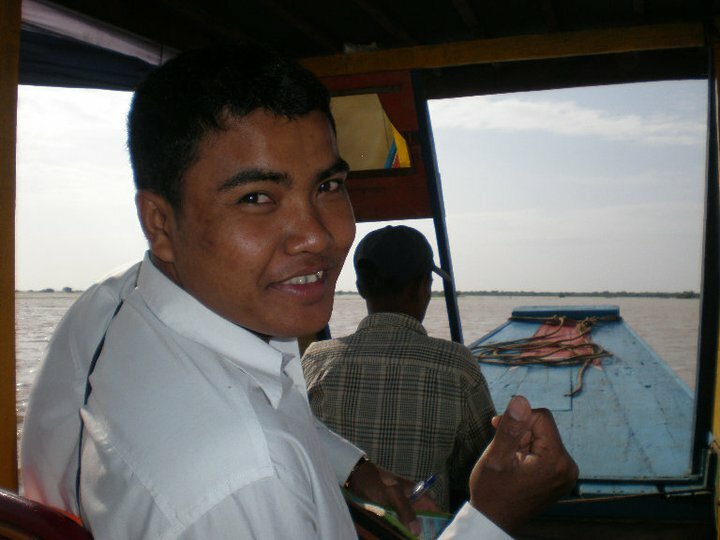 Today I want to give a shout out/review to a tuk-tuk driver we had the great fortune of meeting in Siem Reap, Cambodia. When my travel buddy and I decided to make the trek to Southeast Asia, we each decided to pick a country. I went with Cambodia, she went with Thailand. Both countries are equally deserving of their own Travel Tuesday, so today I just want to focus on our friend Phary. Luckily, a mutual friend of ours had recently been to Siem Reap and booked Phary and his tuk-tuk for a quick tour of the Angkor Wat temple complex. He strongly recommended we contact Phary for our own trip – Best.Advice.Ever! For those who may not know, a tuk-tuk is basically a small carriage attached to a motorbike. 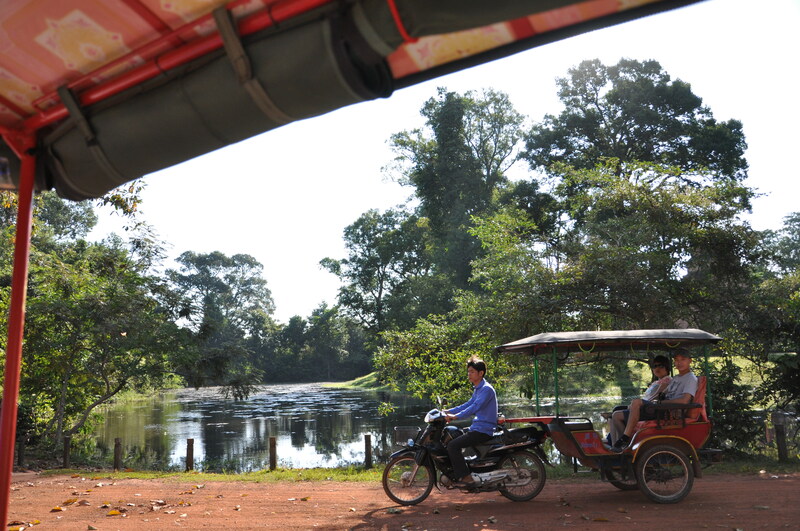 There are a lot of tuk-tuk drivers in Siem Reap. 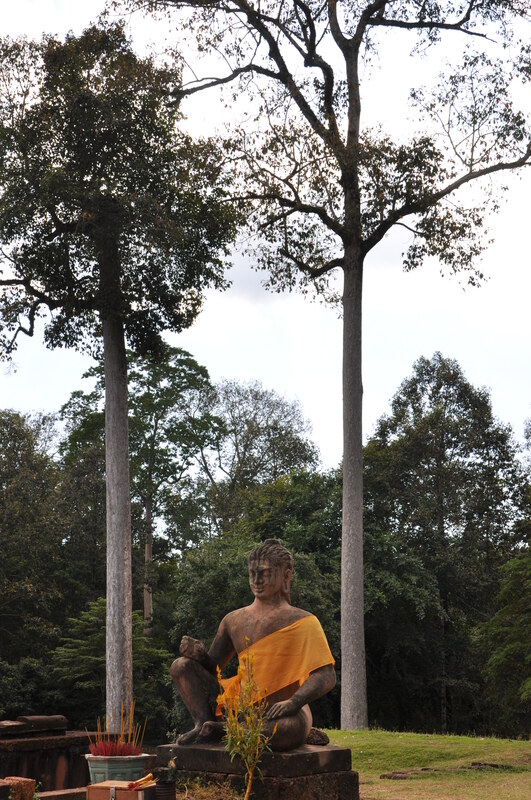 Tours around the Angkor Wat temple complex are big business and there is no shortage of options. 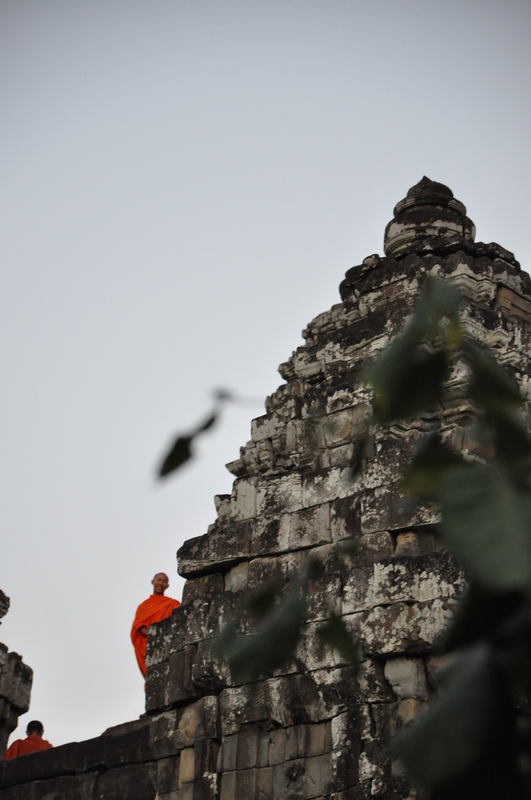 We contacted Phary ahead of time and had him arrange our lodging and activity options in Siem Reap. After meeting us at the bus station with a super cute, personalized sign with our names, Phary immediately took us to our lodging for check-in and to freshen up. It was by far the best hotel we stayed in for the whole trip – and at a bargain deal. The owner was a Chinese lady who had spent a fair amount of time in New York City before moving to Cambodia. She was super nice and very eager to catch up on news from the US. The hotel itself was pretty Western, but sometimes luxuries like hot water are just too nice to pass up! After we had checked in and had a few moments for freshening up, Phary took us to get our Angkor Wat park passes and then to a sunset ceremony/viewing at one of the temples. It was perfect! Afterwards Phary took us to a nice local place and introduced us to some of his friends. The food was excellent and no one pressured us to buy anything, etc. It was just good fun. The next day we had a “tour de temple.” Phary was very knowledgeable about where we were going and the best places to see for photos (I think he could tell that was a priority (smile)). If we saw something interesting he was more than willing to stop so we could check it out. Phary would drop us off at a temple after designating a pick-up spot. We got to take our time at each stop and wander to our heart’s content. When we made it back to Phary he had cold water and cold wet wipes waiting for us!! SUCH a relief! He told us the best places for souvenirs and a few tips for bargaining with the locals. That night we went to a more touristy buffet type restaurant that offered traditional dancing. It was….interesting for sure. The next day we went to visit the floating village, the landmine museum, and several local villages along the way. Phary was quite the ladies man and seemed to know everyone. It was truly great to be able to have a local experience. Our final day I needed a little medical assistance (bug bites), and Phary was very helpful in procuring the necessary treatments. His English wasn’t perfect, but it was pretty darn good. He was always waiting for us in the agreed upon spot, he didn’t rush us, and he went out of his way to make us comfortable. I don’t remember how much he originally charged us, but I do know we doubled it. I could not have asked for a better experience, and it’s in large part thanks to Phary that I fell so deeply in love with Cambodia. I got to meet real people – not just street vendors or tourist people – the everyday mom and pop. They are truly such a lovely people in Cambodia and I am so grateful to have had the opportunity to experience the culture and people on such an intimate level. As a disclaimer, we visited Cambodia in 2010. I keep in touch with Phary, however, through Facebook so I know he’s still in operation (although for the record he is in no way associated with my decision to write this post/review). I know he’s not the only super awesome tuk-tuk driver in Siem Reap, but he certainly made our experience! My travel buddy recently went back to the area and booked a tour through someone else – to say her experience was less than stellar might be an understatement. Then again, maybe we were just spoiled with Phary. If you do contact Phary, be sure to tell him Meredith and Heather recommended him (smile). What an amazing day! I feel like I’m right there with you. I’ve only been in a tuk-tuk once (in Rotterdam of all places) and I was scared to death. I would love to visit Cambodia someday. I’m so looking forward to spending some time in your archives. You have a terrific blog! Thank you!! I think that’s one of the best compliments I could receive 🙂 The tuk-tuks in Siem Reap felt like a buggy ride compared to the ones we took in other cities. I think there’s something about the drivers being on motorbikes that make them a little too brave at times – they forget their passengers! Oh my this trip sounded amazing!!!!! What a fun adventure! Lovely photos! That’s awesome that you still keep in touch with Phary!! I’ve never been to Cambodia. I was actually born in the Philippines but moved to Texas before I turned 2, so I’ve done a bit of traveling in the Philippines and Hong Kong, but would love to do more exploring in Asia.